Corked Vials. TH92899. These tiny glass bottles are the perfect vessel to hold tiny trinkets, sand from that special holiday, or a hidden message corked inside. Contains 9 assorted corked vials. 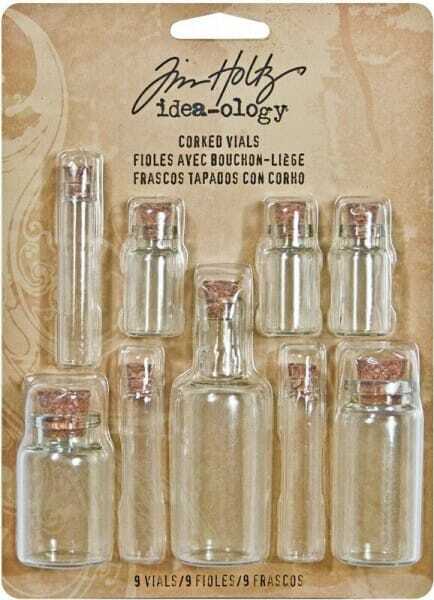 Customer evaluation for "Tim Holtz idea-ology - Corked Vials"